Guess what? 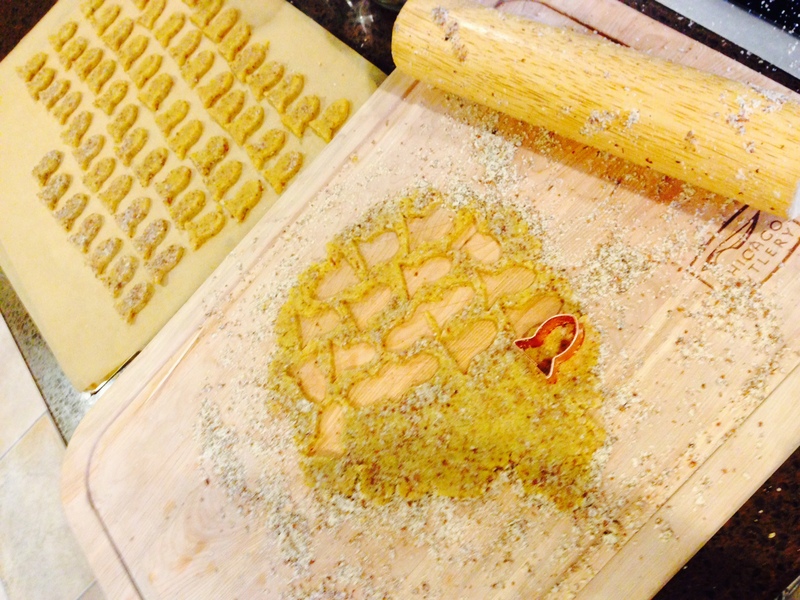 I made more goldfish crackers, and I made them even more complicated still. 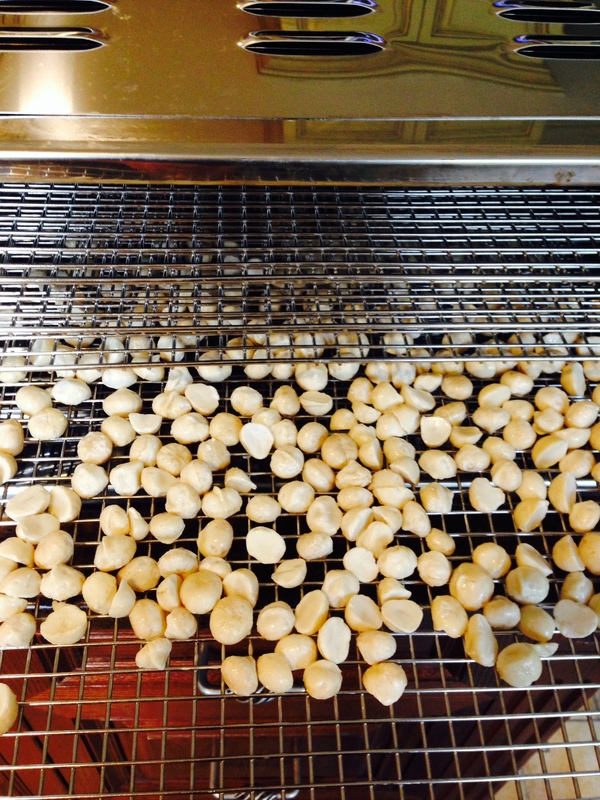 Nuts are GAPS-legal, provided they start raw (you can brown them yourself). The best way to eat nuts GAPS-style is to soak/sprout the nuts and then low-temperature dehydrate them, for digestibility. 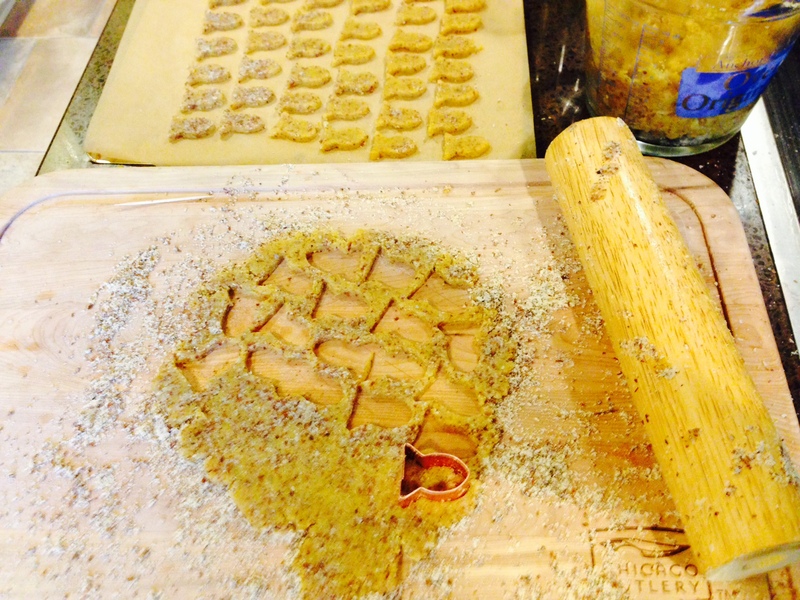 Last time I made goldfish crackers, I used store-bought almond flour. This time, I thought: I’ve got raw macadamias. I’ve got a sprouting jar. I’ve got a dehydrator. Let’s party. I used the same recipe (doubled). 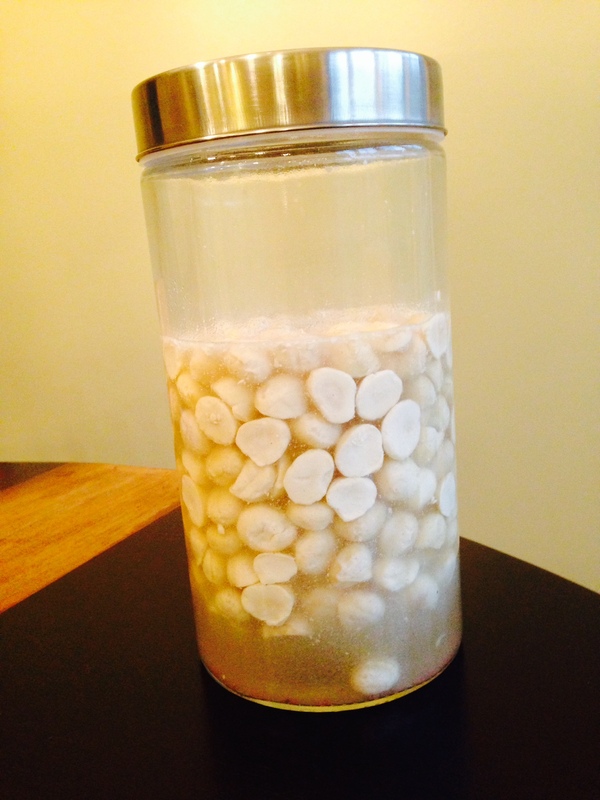 Instead of using commercial almond flour, I soaked several cups of raw macadamias in Fiji water overnight. 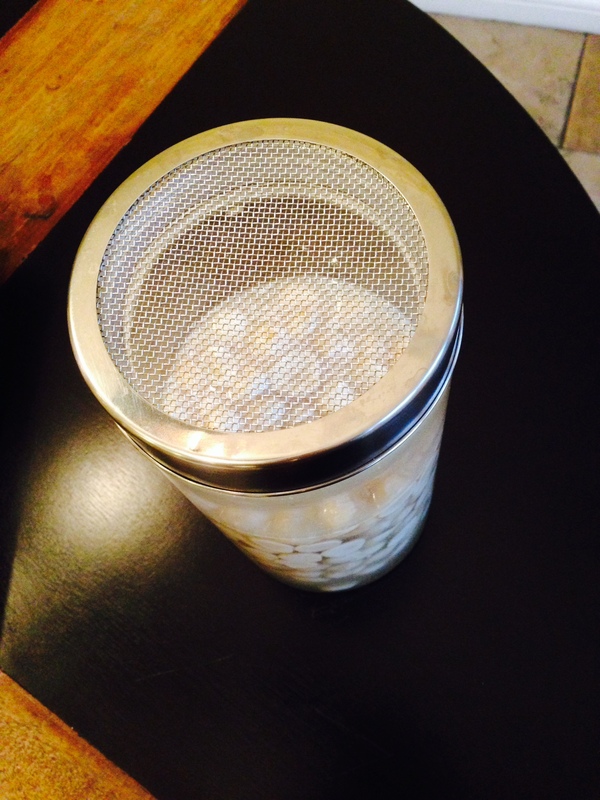 The next day, I drained and rinsed the nuts and transferred them to my dehydrator. They took forever to dry at 115 degrees. I had to leave them in the dehydrator more than 24 hours. That brings us to day three. 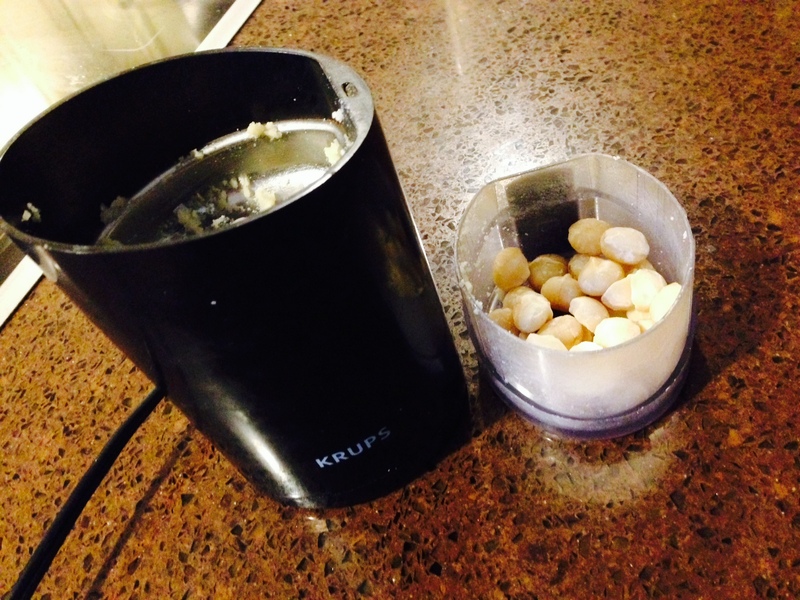 I removed the soaked and dried macadamias and started grinding them in my Vitamix . . .
. . . which didn’t work out so well. The stuff at the bottom turned into pasty nut butter before I could pack down enough of the sides to become flour. 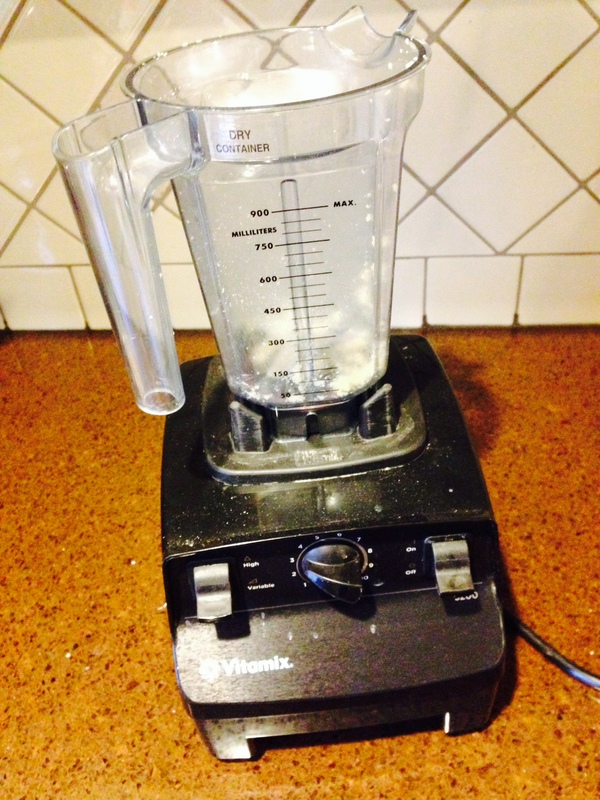 After a quarter-hour of arguing with the Vitamix, I decided to finish the job with my trusted coffee/nut/seed grinder. I could grind only, like, ten nuts at a time, but the easier access to the blades and bowl made the job manageable. At last I was able to mix my goldfish dough. Then, sprinkling more almond meal to prevent sticking, I turned my counter into a goldfish factory again. This round, however, I did not bother making eyes and mouths on the goldfish. Etching those details with a wooden toothpick consumed so much time, and I’m pretty sure Martin, as he chewed goldfish by the handful, never noticed whether his crackers had faces. Total prep time: two days, plus three hours grinding, mixing, rolling, and cutting. Total time goldfish crackers lasted before Martin ate them all: one week. Next time, if I need to supplement the flour that I make, I will try using Blue Mountain Organics sprouted almond butter instead (there are various sprouted nut butters available commercially; usually I select the one I find first), and maybe decreasing the olive oil to compensate for the oilier product. As healthy as the current batch is, I can always do better. This entry was posted in Recipes and tagged almond flour, ASD, autism, bob's red mill, cooking, gaps diet, goldfish, macadamias, nuts, recovery, sprouting by findingmykid. Bookmark the permalink.